Keith’s injury at Powder Mountain meant he was out for the rest of the season and possibly part of next season 🙁 Read more about our trip to Powder Mountain and his injury by clicking here. 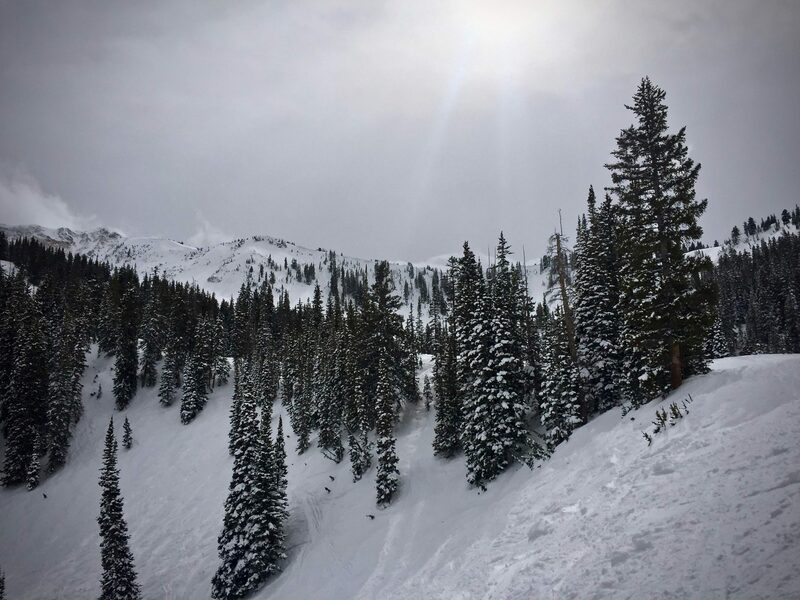 February was ending, but Spring skiing was just around the corner. 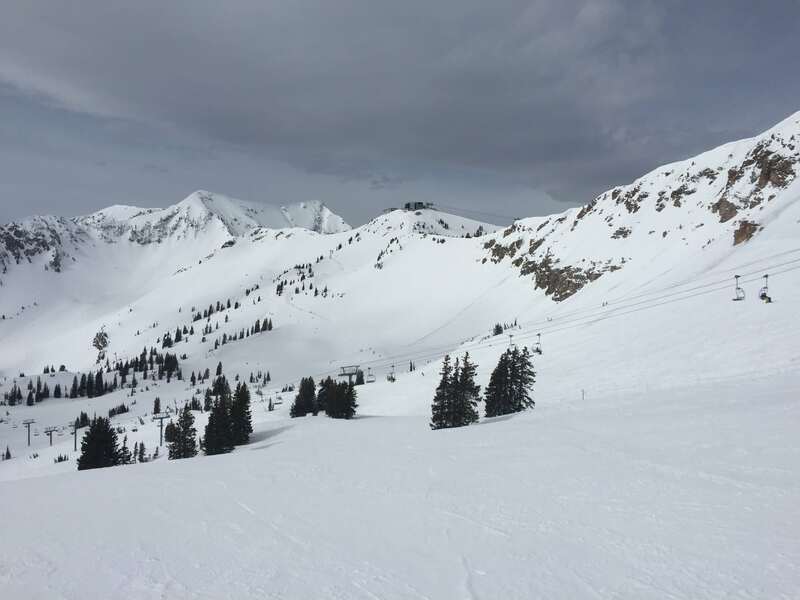 Last season we had some of the best skiing for the year in March and April! The valley might be switching over to Spring, but the mountains still get loads of snow. 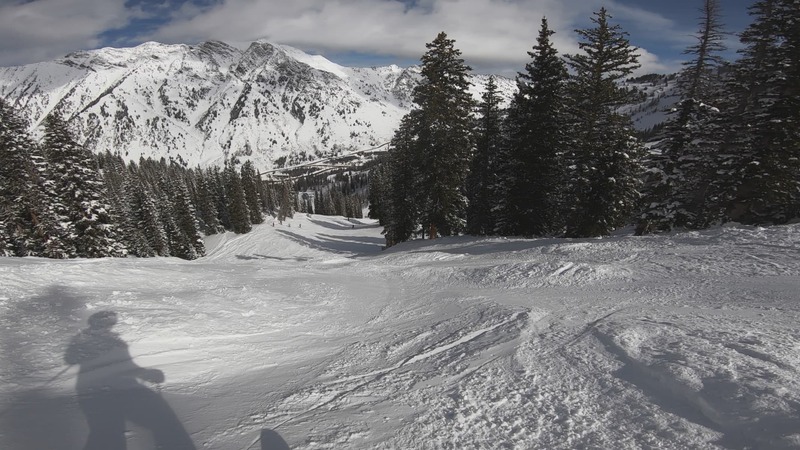 I decided to take full advantage of my Snowbird pass and ski during the week to finish out the season. What would it be like skiing alone? I had only skied by myself a couple times prior and enjoyed it so I figured I’d have fun. 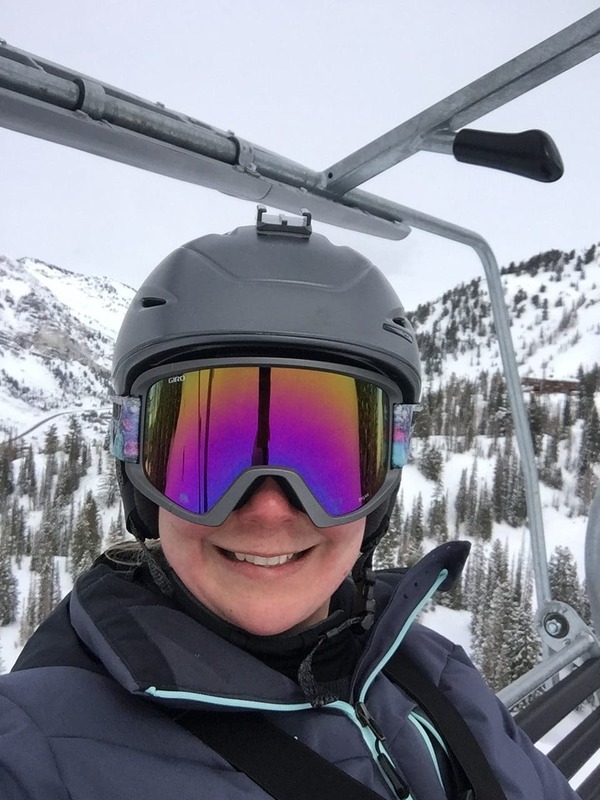 There are definitely pros and cons and I wondered how I would feel skiing alone at Snowbird. I was a little nervous heading out alone, but found it was so much fun (sorry, Keith!). More likely to see big jumps, expert skiers, etc. More likely to see weekend events happening; races, contests, etc. I would absolutely say yes! Just like anything else, there are factors to consider, but there are benefits to enjoy by skiing. Maybe it’s because I’m an introvert or because I moved across the country and only know a few people here, but I truly enjoy doing things on my own. It’s not easy to do something new on your own, but I always quickly fall into ease with the activity. For example, last summer Keith left town and I knew I didn’t want to go a whole week without hiking. I had only been on a short solo hike prior to Keith leaving town. While he was gone, I hiked 3 times on my own! Now, I don’t even think of it any different than hiking with him. It’s the same with skiing, once you do it a few times it doesn’t seem scary or intimidating anymore. I believe there are great benefits to doing things alone. The time with yourself allows you to think at a deeper level, relax at a deeper level and appreciate different aspects of life. I find that I can move slower and take moments to enjoy the simple things in life when I’m alone. I was recently sitting alone at a coffee shop and overheard the most amazing example of family support and excitement for woman with a new job. I was heartwarming, thoughtful, funny and probably something I would have missed if I weren’t alone. Some of the most amazing interactions with strangers take place when you are alone and able to focus on the present. Be sure to look up and enjoy the scenery! I got an Apple Watch for my birthday, which was right before ski season. 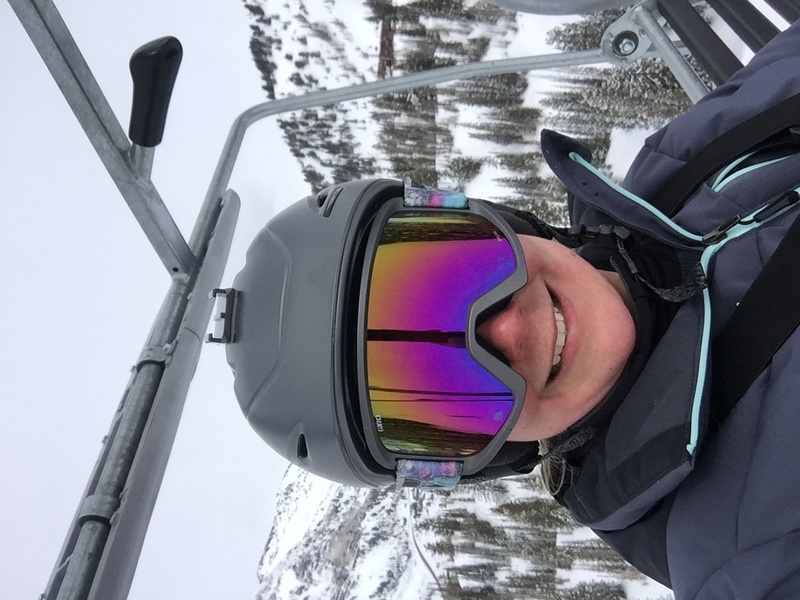 I tested out a few skiing apps before choosing Slopes. Slopes just seemed to work the best for me. Some of the other apps would turn off throughout the day, not record each run, freeze up, etc. It should be noted that Keith tried to use a few apps with his Android phone/watch and he preferred other apps as they worked better with his devices. Ultimately, he chose not to track his skiing so he didn’t put a whole lot of time into it. Personally, I would recommend researching the apps and their features. Then try a few of the free versions before determining which app works best for you and your devices. 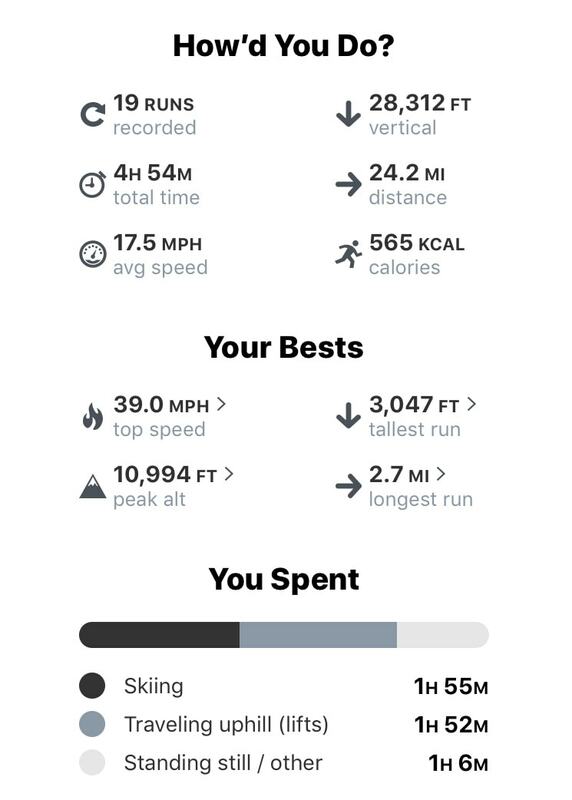 I have really enjoyed tracking my stats on the Slopes app. I did pay for the Premium feature which costs $19.99 per year. You do have to remember to cancel your subscription or you will be billed next season. With Premium, you can access premium maps, interactive replays and additional stats. I felt like these additional features were worth a little extra money and have been happy that I upgraded the app. 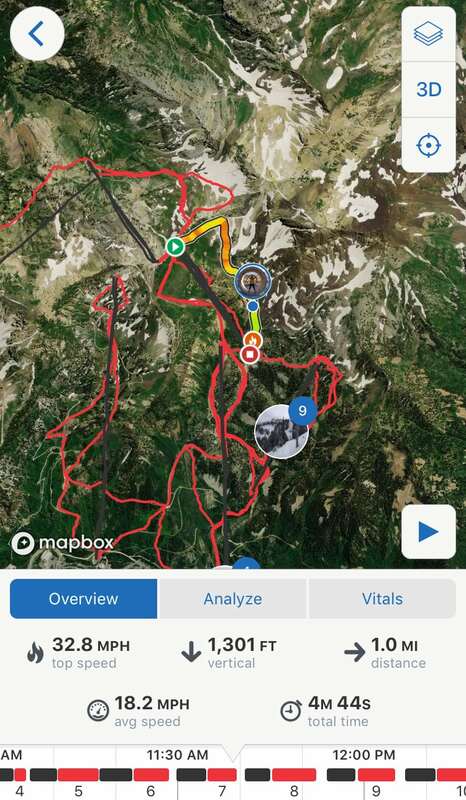 Slopes also works with Strava if that is something you use to track other activities. Since I’m a fairly new Apple Watch user, do you have any favorite apps to recommend?